A dear friend is expecting her first baby, a boy, later on this month. 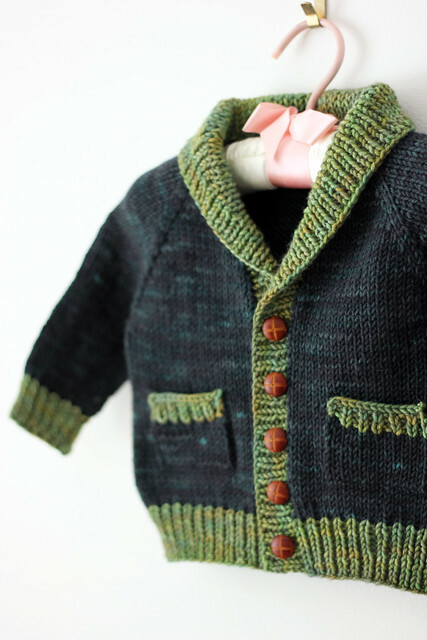 As soon as I found out that she was expecting a boy I knew that I would be knitting her a Gramps cardigan. It's my go-to. It's perfect. It's a very quick knit done up on 4.5mm needles and aran weight yarn and is always adorable no matter what colour combo you chose. I've knit this pattern 4 times and will surely be knitting it again. I can pretty much guarantee that if my baby is a boy this is the first thing that I will cast on for my own little dude. Anyways, so yes, I've knit this pattern 4 times, but this was the first time that I added the pockets. Aren't they awesome? They are definitely a very cute touch. I did not add the elbow patches however. 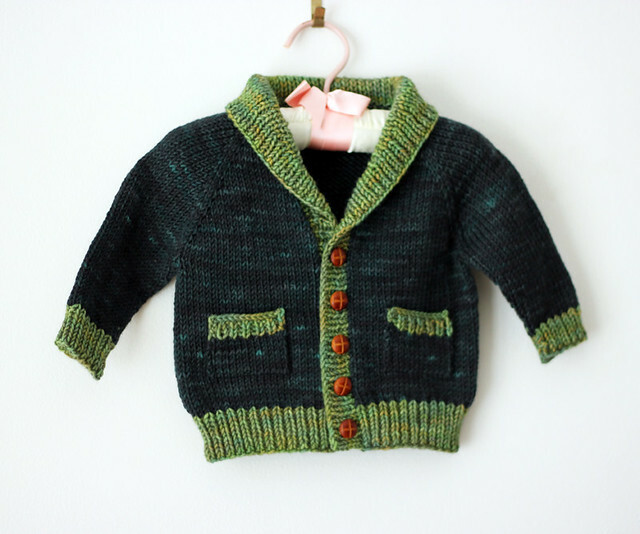 I knit them but couldn't get them to look right on this wee little sweater. Maybe if I knit a larger size the next time I could make the patches work. I do love elbow patches after all. 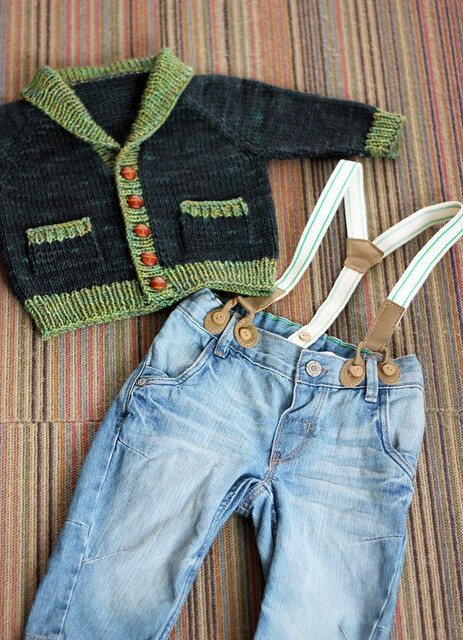 Paired with some hip little jeans with suspenders this little boy is going to be the cutest little old man baby.